RCDB SkyNav timestamping precision was improved for sensors that use a custom precision time format. JETI Ex protocol time format is not suitable for precsion timestamping. Its precision is only 1s. RCDB, has so far overcome this limitation by having its own precise clock, that were synchronised with the time coming from JETI. When a coordinate was received into RCDB, the local clock were used to increase precision of the timestamp from seconds to 100ths of seconds. This solution is pragmatic and leads to sufficient performance. However, when more precision is required, precise time needs to originate in the sensor that is doing the positional measurements. And this is exactly what s possible now. Together with Wolfgang from wsTech, we have created a custom encoding of the time in the JETI EX packet. Using this encoding, the onboard GPS can directly fill in the timestamp with the 1/100th second precision, while not increasing the amount of data transferred. The wsTech sensors are now using the precision time. More info can be found on wsTech page (in german). 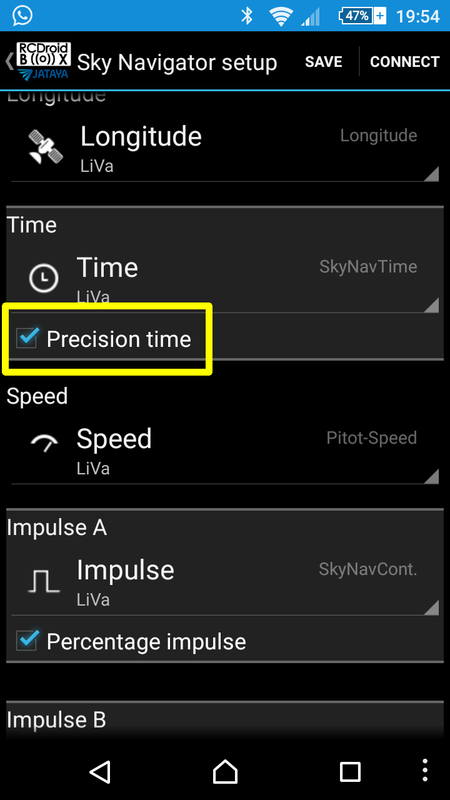 If you own a sensor that is providing time in the precision format, then all you need is to check an extra checkbox in the Models/SkyNavigator/Time/[PrecisionTime]. After checking this, connect to RCDB and send the configuration. That's it, you are now running with precision time provided directly from the GPS. The original JETI time encoding is using unnecessarily many bits, so we have used those to transfer more precise time information. Altogether, the saving is 7 bits, and that is enough to hold 1/100th fractions of seconds. I think this topic is Precision time in RCDB-SkyNav it's some thing like programming language i'm trying to understand it but i think i should get help to Assignment Writers UK may be possible he can be understand. i will come on this blog as soon.